In a GPS world, do children really need to learn how to read a map? Nothing is more refreshing than going for a walk in the great outdoors. However, nothing can be more depressing than seeing people use their phones to ‘guide’ them. It was recently reported that children are unable to read maps, you know the actual physical ones that blow about in the wind. It shouldn’t come as any surprise to us that children find maps are real challenge. Map-reading is a challenge especially when combined with a compass. Get the hang of it though and using a map and compass is great fun and very rewarding. Traditional map-reading and navigation skills are fast ­becoming redundant. The real issue here is the fact that phones have made life too easy. They are not exactly reliable for getting us to where we need to go (sat-nav is rubbish on occasions) and besides which, phones are useless in mountainous areas – mobile coverage is patchy or non-existent (e.g. in Snowdonia). In fact, some remote areas are a welcome relief from ‘modern life’ because they have no Wi-Fi, mobile phone signal or TV reception – great for a detox! The point is many young people won’t be heading for the hills and mountains anyway so this won’t be a problem. It’s doubtful that children will have even heard of Ordnance Survey and as for reading a six figure grid reference – forget it! The problem is that loads of us have become so reliant on our phones that we use them as navigation guides to find a coffee shop or for getting around a shopping centre. Yes, smart phones are making fools of us. Theme parks still give out maps so you can find your way around but take a look at how many people use them. There’s an app for that! 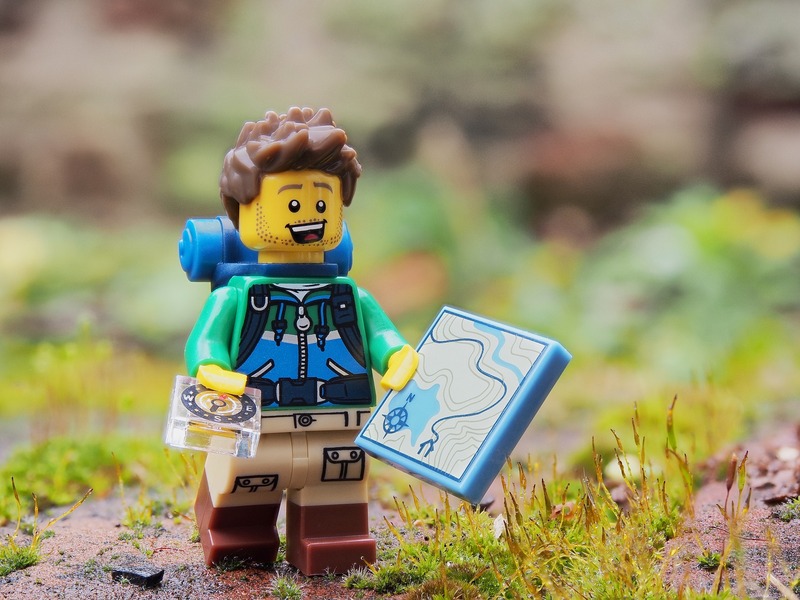 Of course children need map-reading skills because they involve a variety of skills and when your phone dies and you are miles away from civilisation then reading a map will save your life! Having a map and the skill to read it is a safety essential. Learning how to read a map helps in critical thinking, analysis and orientation, problem-solving and fuels your spatial memory. It is an important tool for building children’s spatial reasoning skills and helping them make sense of our world. It gives them a mental map of their world too. When president of the Royal Institute of Navigation, Roger McKinlay said that society is becoming “sedated by software” as it loses both a practical skill and spur to self-reliance. Children have no sense of direction – they are sedated by software. A survey conducted by Telenav, developers of Scout (a free satnav app) have produced an interesting infographic to highlight how digital navigation has taken over the lives of the under 25s. This much we know – children aren’t good with maps. Many have never even held one so schools have to teach basic navigation as a way to develop character, independence and an appreciation of maths and science. Reading and drawing maps mustn’t become a lost art! Maps don’t need batteries or a signal, they encourage engagement with our surroundings and they tell us what is around us. Technology isn’t going to help us find the buried treasure, maps are! Come on Geographical Association, isn’t it time you made some more noise about this issue? OS map symbols quiz – test yourself.